Well I have been playing my newest arrival Indy 500, it's pretty great! But my 3rd headunit listed as untested is battery leak killed, so I scrapped all the useful parts for my other 2 completely functional systems. The untested headunit and Indy 500 together only cost me $9 though, so oh well. Do you only collect VB and R-Zone, or other handhelds too? I have a Sega Nomad, 3 Gameboy Pockets (gloss blue, dark blue, clear purple), Gameboy Light (gold), 2 Gameboy Advance SP AGS-101 (Black Graphite, and Blue). I also have an Original Gameboy (broken, had it since childhood), and a Gameboy Color (Teal, also broken). 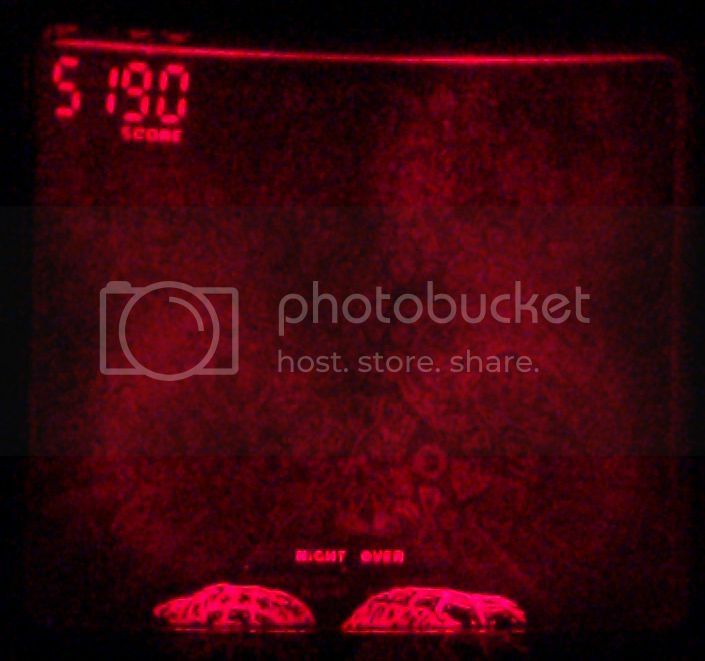 I wish I had respected games more as a child. I have around 80 various GB/GBC/GBA games, I am not sure of the ratio but I mostly play them on my GameCube via Gameboy Player. I used to collect Sega Gamegear but sold my collection (of about 15 games) as it wasn't to fun. I do intend to collect WonderSwan in the future if I can find atleast 3 games I am interested in. This board compelled me to finally purchase an R-Zone! 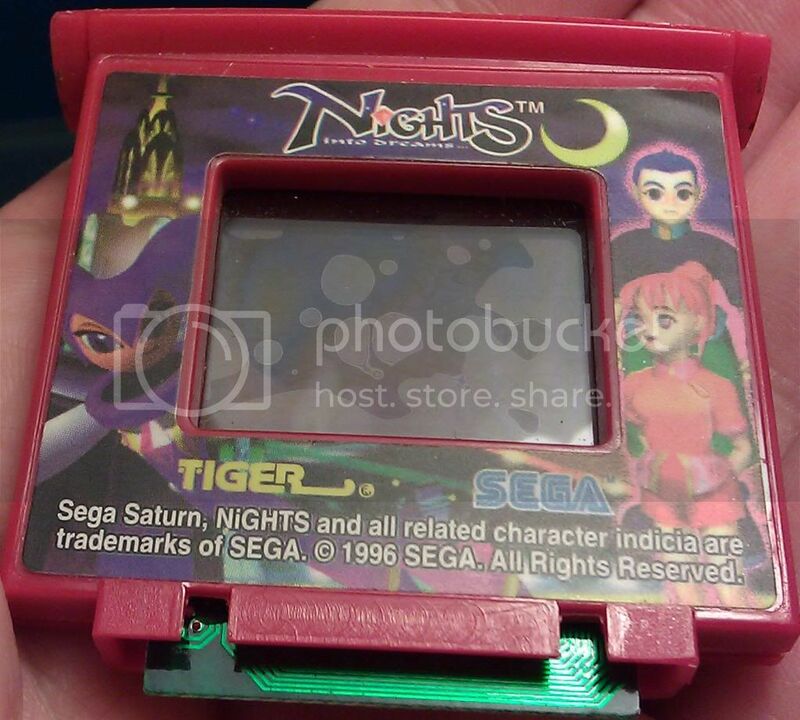 I won it for $13 USD shipped, and it came with the head unit, a NOS Star Wars: Jedi Adventure (with yellowed packaging that I am tempted to open..), and the game that I really wanted on the R-Zone, NiGHTS Into Dreams! 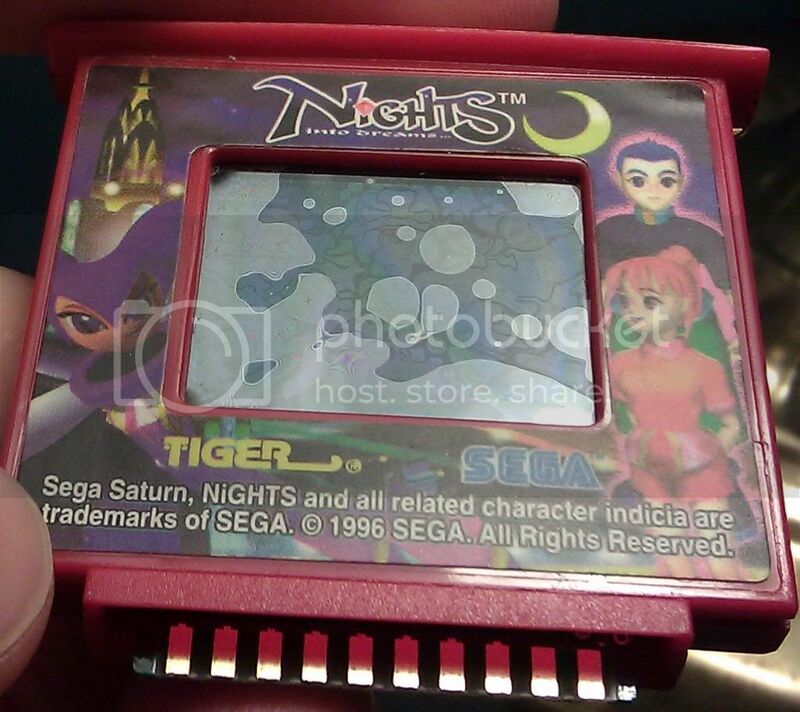 However, NiGHTS has bubbles on its LCD. I do know that this is not a unique issue based upon what I have seen with other carts for sale on ebay. As you can see, it is not noticeable during game play. I have done research online, but the nets have turned up dry with information. Does anybody know what might cause this, or how to fix it, merely for optimal collecting purposes? I remember when it came out but I really knew nothing of the system. Glad to see someone's found some fun with it, though. :) Post some pics of your setup, yeah? I had one of these, briefly, several years ago - the only games I ever got for it were NiGHTS (which came with it) and a Star Wars one that seems to have fallen off the planet... I think it was called Rebel Forces? 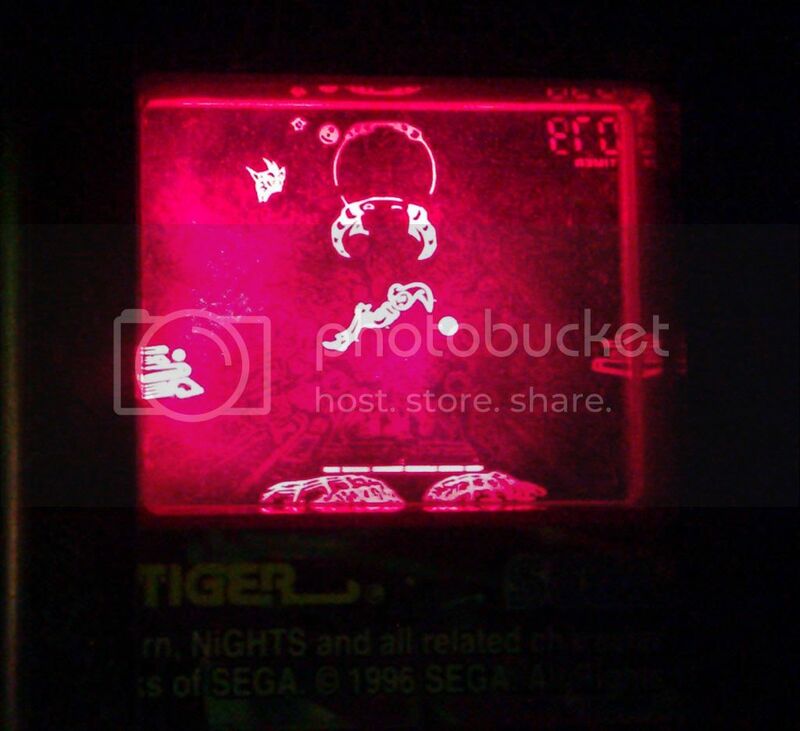 It was a shooting gallery style game, and the cartridge art around the edges had pictures of Stormtroopers. In any case, as a kid, I remember being pretty severely disappointed, after convincing myself that the system was going to be a lot cooler than it actually ended up being. It would be cool to dig it out again, though, for old times' sake. Iv just bought one these off ebay for £8.50. it came with 3 games, batman forever, indy 500 and apollo 13. Going to have a proper look at the weekend and see if i can get it working, hopfully just corrosion that i can clean up. Watch this space! Dang people with NiGhTs and Apollo 13. I still need both of those games, and yes most carts have the bubbles, as far as I am aware it's not an issue. Anyone else enjoying the R-Zone? I enjoy it for what it was. I have all but like 3 games lose and about 10 games unoppened. I am still missing a Super Screen to test that out but have an extra X.P.G. if someone wants to trade a Super Screen for it. It's a unique part of gaming history and I'm glad to be able to preserve what I can from it. It's like the game.com in that respect. Now if only I can find the damn game.com modem and Wheel of Fortune 2.